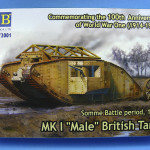 It’s that time of the month when the Newsletter Page is updated with the latest edition. Go there to download the most recent issue. Also added are some flightline photos of a CH-46, provided by Mike Terre. 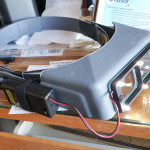 Finally, a quick review of the Quasar LS lighting fixture for your Optisivor headset. A very smart and useful addition to the tool box. 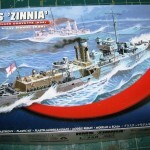 Martin J. Quinn has supplied a review of the HMS Zinnia, one of the recent releases in the small ship styrene realm. This is one of those subjects that ten years ago no one ever expected to see in styrene in this scale. It looks like a winner. Click HERE for the review. A really great new kit, the Flyhawk Model USS Ward is a marvel of modern engineering, and quite an accomplishment for Flyhawk Model’s only second injection styrene kit. A quick, out of the box, review has been posted HERE. 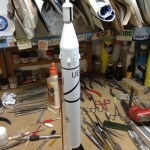 Mike Terre gives us a look back at the Aurora Jet Commander kit. Review has been added to the Aircraft Reviews page HERE. 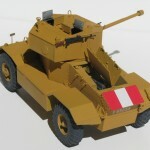 Martin J. Quinn has done a build review of the MiniArt AEC MK II. You can find it HERE. 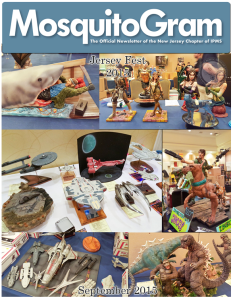 A very brief account and a few dozen photos of the Jersey Fest Fair show have been posted in the Features section. Direct link HERE.